Here’s a fun and easy felting project … a perfect kids craft for summer vacation or school holidays. And you don’t even have to know how to crochet!! 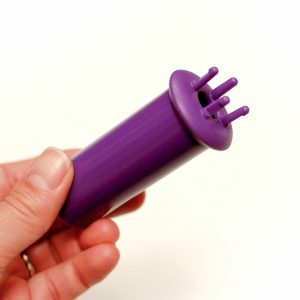 Remember those knitting spools you used as a kid? 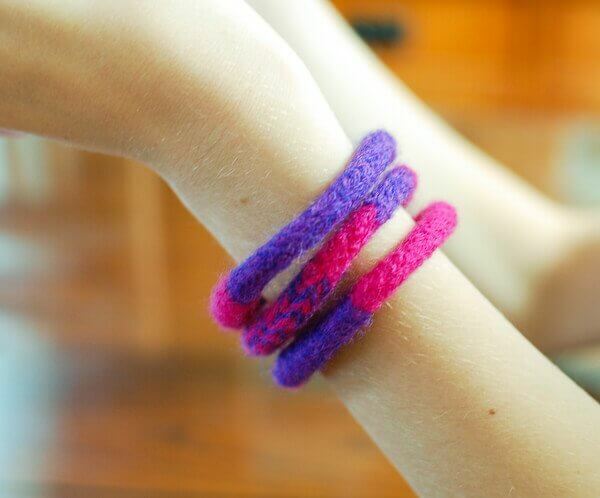 Well, dig them out … we’re making felted bracelets! 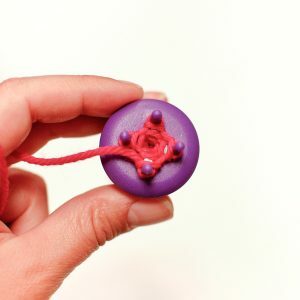 To make the bracelets, follow the instructions included with your spool until your bracelet reaches about an inch more than the circumference of your wrist. This extra inch gives some room for the yarn to shrink when felted. For my daughters I made them about 7 inches long and for me about 8 inches. Next, fasten off and leave a long tail. 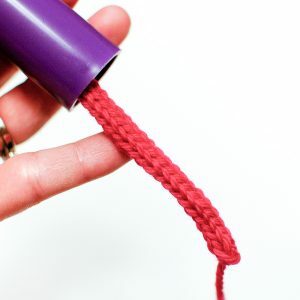 Using a tapestry needle, use the tail to sew the ends together to form a ring and then weave in the tail. 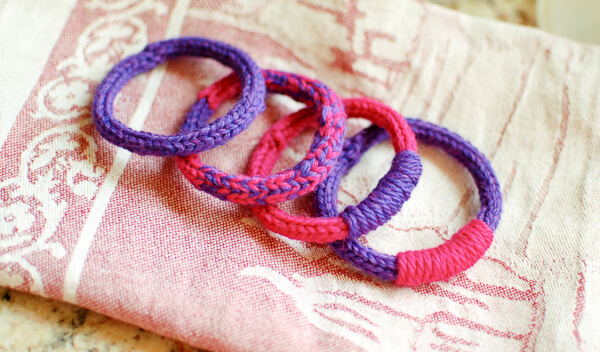 Get creative … you can make them multicolored or take some of the extra yarn and wrap it around the bracelets to add a little interest. Now you’re ready to felt. You can either felt them by hand or throw them in the washing machine. See my Felting Knitting & Crochet post for directions on both. Once you have reached your desired felting effect, roll out the excess water, give a tug to shape to fit, and allow to dry. Amazing…I love to felt, I will definitely give this a try! This is such a fun idea 🙂 Thanks Kara! I just made one today with my grandkids. It was so easy and fast. They loved it. Thanks so much for this cute idea. Looks like we will be making more of these! This is a fantastic idea for a little girl! Great to make for Christmas gifts. I like the colors you chose! Thanks for sharing at Hookin On Hump Day! Beautiful, and what a great idea!! I have an unused knitting jenny laying around already so long, think I really must try this :-). Thanks for the inspiration! Very nice bracelets, nice idea! I CAN DO THIS!! Kara, thanks for sharing!! I never heard of spool knitting until recently but I would like to try it.